Hi everyone! Is everyone enjoying their weekend? This is birthday weekend in our family 3 birthdays in the house just this week), but I'm squeezing in a couple of Paper Smooches cards today. They both use the new Mustaches dies, but in very different ways:) For this first card, I die cut the mustache and the glasses and inlaid them into a strip panel. In the background, I used a variety of star stamps to create a custom look. I colored the mustache with Copics just to get a more variegated look. This second card is a bit different;) This time I used the mustache die to create a pair of wings for this sympathy card. So many people I know how lost their doggie loved ones lately and sympathy cards can be so hard to make. The top of the card was blended with ink and misted in silver, white, and gold. The wings/mustache was die cut from vellum and "colored" with a glitter pen. Thank for stopping in today! 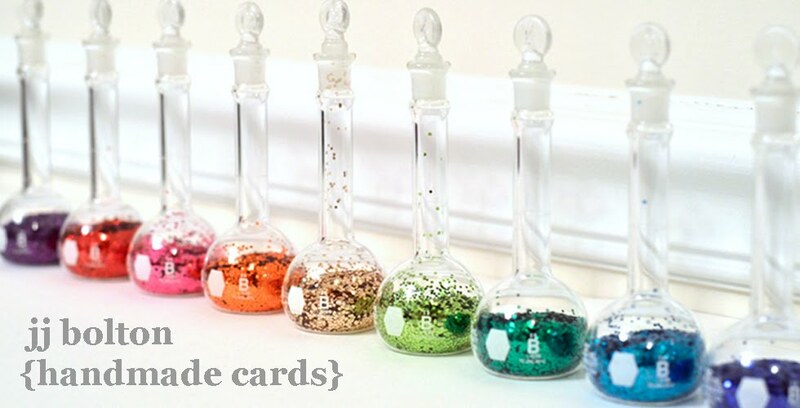 What adorable cards!! Love the fun first one with the glasses. The second one is genius by adding the fun wings. Great design for both!! JJ, you are Amazing, as are your cards!! Love the double duty you got from that stache', it's the perfect wings for a passed friend. thanks, Paulette S.
You really are a genius with the mustache wings! Two more fabulous cards, JJ! 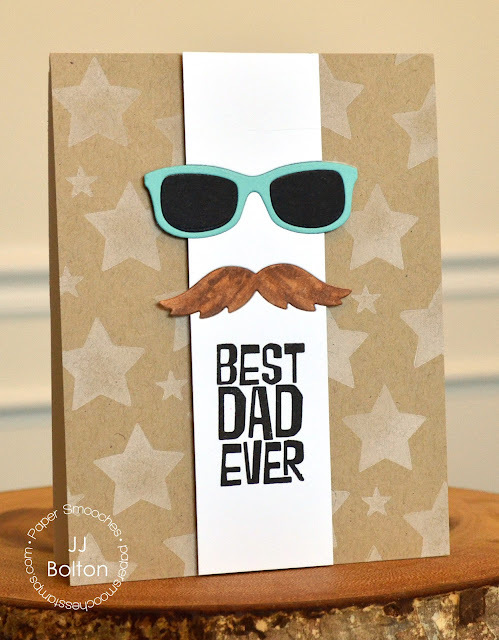 I love how you used your copic markers on the mustache and how you created your star background on your first card! 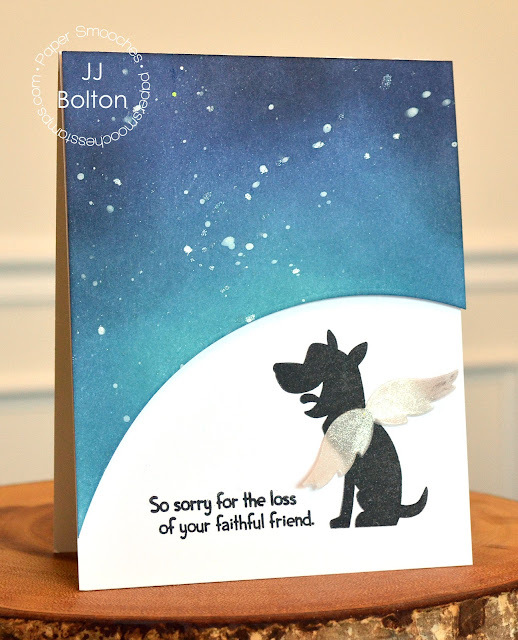 I also love how you played with the mustache die to create the wing for the dog...so clever, and perfect for a 'fur baby sympathy card'! Your creativity never ceases to amaze me!